Elimination Chamber pay-per-view returns next month. 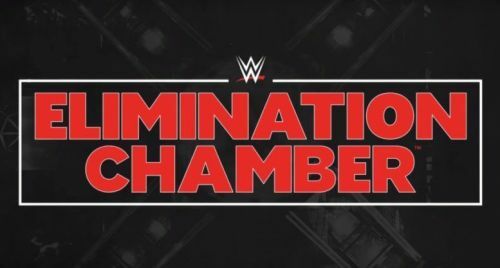 The Elimination Chamber pay-per-view will take place on February 17, 2019, at the Toyota Center in Houston, Texas. As usual, it will be another stop on "The Road to WrestleMania" and consist of matches from both the brands Raw and SmackDown. The event is famous for its demonic structure named Elimination Chamber where six superstars enter and only one superstar walks out as the winner. This year there are two Elimination Chamber matches which have been confirmed. "The New" Daniel Bryan will defend his brand new Eco-Friendly WWE Championship against AJ Styles, Randy Orton, Jeff Hardy, Samoa Joe and Mustafa Ali inside the Elimination Chamber. Another Elimination Chamber match will crown the first ever WWE Women's Tag Team Champions. Currently, three teams have qualified- Nia Jax and Tamina Snuka, The Riott Squad and Mandy Rose and Sonya Deville. Along with these two matches, the New SmackDown Tag Team Champions Shane McMahon and The Miz will defend their titles against The Usos, who won a Fatal 4-Way match by defeating former champions The Bar, The New Day and Heavy Machinery on SmackDown Live. Here are six more matches that could take place at the event. Finn Bálor gets brutalized by Bobby Lashley. Finn Bálor was defeated by Universal Champion Brock Lesnar at the Royal Rumble. After giving a competitive fight to The Beast, The Extraordinary Man just fell short of expectations and tapped to Lesnar's devastating submission hold, the Kimura Lock. 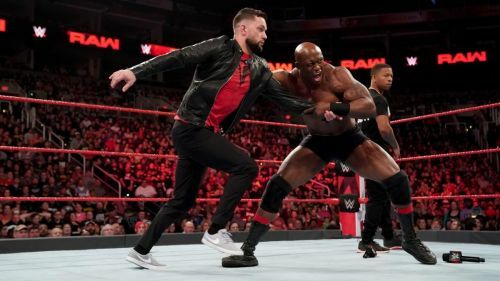 The next night on Raw, he was interrupted by Intercontinental Champion Bobby Lashley and his manager Lio Rush who believed that Bálor never deserved an opportunity to compete for the Universal Championship. Then, Bálor ridiculed Lashley about lasting 12 seconds in the Royal Rumble match, which lead to Lashley brutalizing a wounded Bálor. Now, this is clearly leading to a feud between Lashley and Bálor for the Intercontinental Title which should begin at the Elimination Chamber pay-per-view. It would be great opportunity to make Bálor the new Intercontinental Champion because he has not been able to win any major match in the past year, but at the same time, Lashley became champion just two weeks ago on Raw, so this feud can possibly continue until WrestleMania.